I’ve got about a dozen of the Did You Hear That? CDs in circulation with reviewers and the reviews are starting to come in! I’ll keep updating this post as they arrive, but so far, it’s been positive! Comments Off on Reviews are coming in! 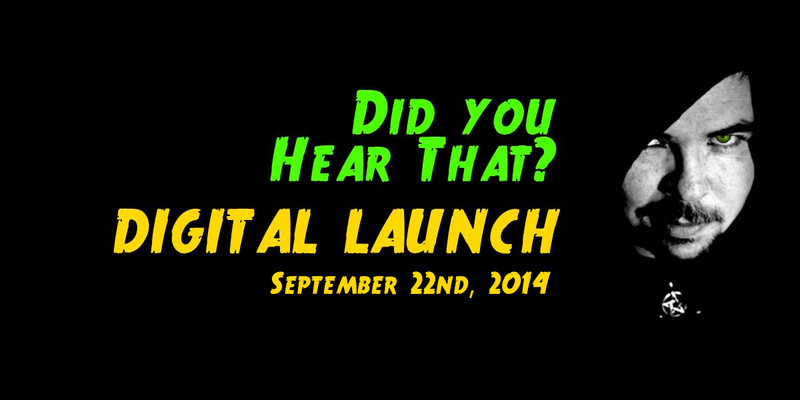 Digital Launch of the New CD! It’s finally the day that has been months, if not years, in the making. Welcome to the digital launch of the much anticipated follow-up CD to The Bard’s New Hat! JD Hickey’s newest CD “Did you Hear That?” is ready and features some of the Bard’s the creepiest stories (join us at the Facebook event)! Get ready to turn out the lights and listen to these tales! Then turn all the lights back on and quiver in your bed, praying that the sun will return to banish the darkness! There are three ways you can purchase your digital download. Be sure to give me your email address so that I can send you the URL so that you can download the CD! Bank Transfer: send your payment via Interac e-transfer to mtlbard@gmail.com. Please include your full name and your Email address (so that we can email you the link). If a password is required, make it “HearThat2014″. Paypal: please visit our sponsor The Magical Blend and select the “Did You Hear That?” CD from their store page, click Checkout, and pay for it with Paypal. Cheque: if you wish to send a cheque, send an email to mtlbard@gmail.com to get the mailing address and once he receives the cheque, you will receive an email with the digital download. Once I receive your payment, I will email you a link to the ZIP file that contains the tracks. This path will be active for a couple of days, so you must download the file before it expires. Please let me know when you receive the files and do not share this path with anyone else. Comments Off on Digital Launch of the New CD!